I love things made from wood, especially old wood. 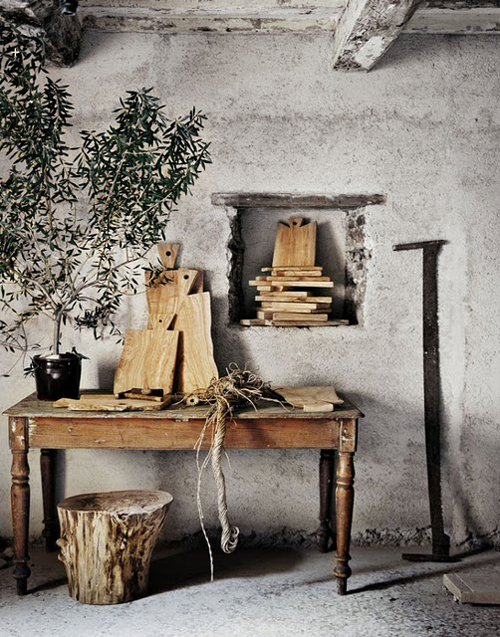 No wonder that I LOVE these photos showcasing the designs of carpenter Andrea Brugi. 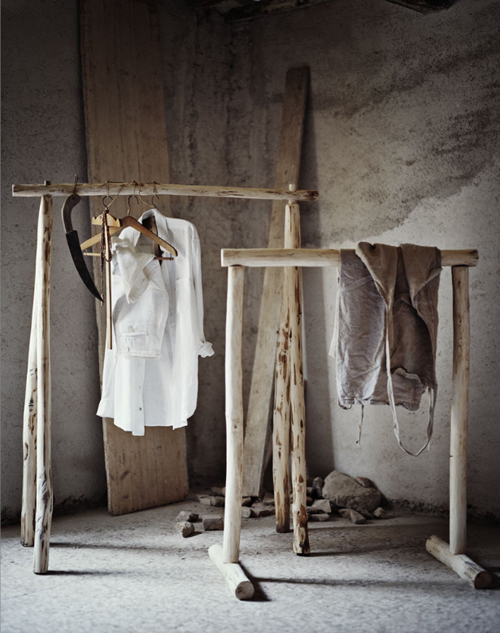 Andrea’s ‘laboratorio’ with all his beloved amazing pieces is a graveyard of beautiful old stuff. Here you can find anything: old railway beams, chairs and tables with a missing leg, tree trunks, roots from a 400 year old olive tree, etc. All just waiting to be fixed or given a new life. All his designs have a strange touch of naivety, yet a the same time they are modern and contemporary with a rustic and organic appearance. Andrea always tell people that he doesn’t make up the shapes: “the shape is already in the piece – a design of nature”. Thanks for these beautiful beautiful pictures! I really need to get one of his carving boards soon. I love the log chair. Such character and so beautiful. 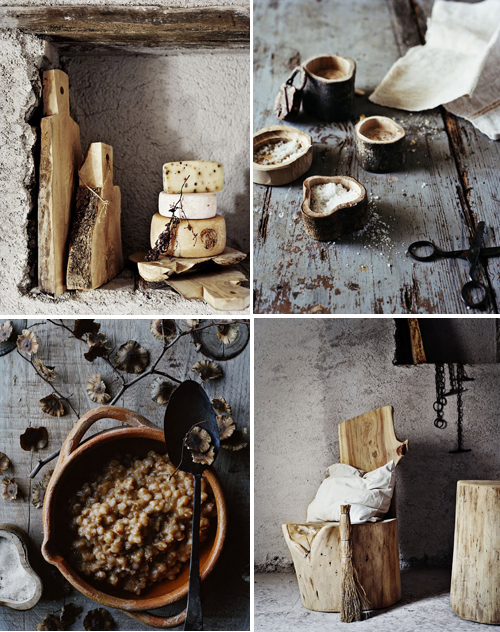 A bit too rustic for my taste, but love the log stool in the 2nd to last picture. 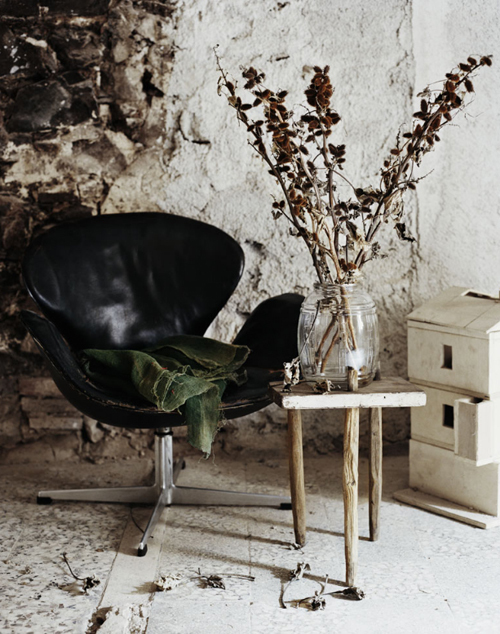 I think it would look just perfect as a side table next to a modern sofa!!! So beautiful pictures. 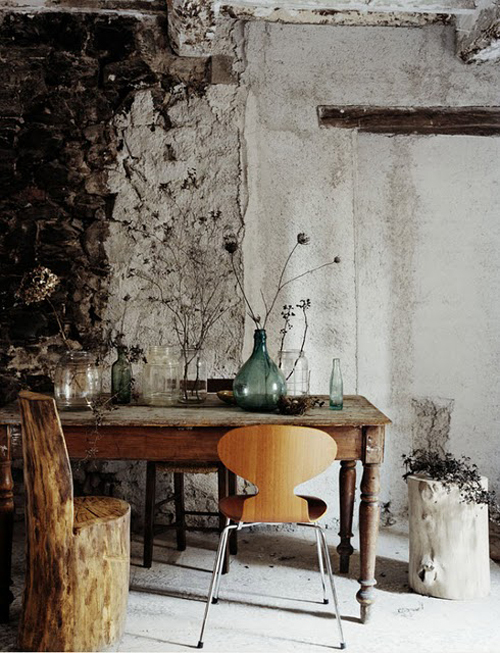 I like specially the log chair. I really enjoy how it looks like it came for the fifteen hundreds in some back-country home and from the present-day all at once. It’s such a play with our idea of ‘modern’. He’s a true artist. The original furniture. Well suited for a cottage or country house.